and Newhouse. Both Newhouse and Gurlston have a distinctive ‘tall’ barn, separate from the main farm. Gurlston had a modernised frontage to the main farmhouse of 1810. 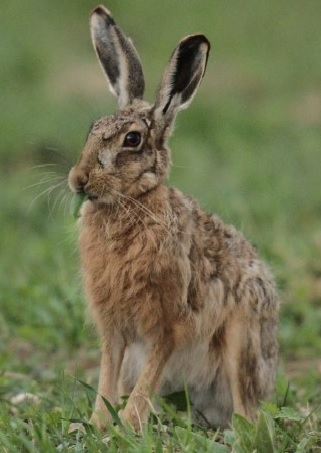 Look out for Brown Hares here as, although declining, this is still their traditional Barrmill stronghold. Gurlston Farm on left, Shotts Farm behind Gurleston (just out of view) and Newhouse Farm on the right.